On Thursday, March 22, West Virginia Congressman Alex Mooney submitted a new bill in the House to try to restore the U.S. monetary system back to a gold standard. Citing correctly that the majority of our economic and financial problems have not been the result of simply globalization and lost industry, Mooney instead pointed out how the central bank has destroyed our money through the use of inflation since we left the gold standard decades ago. President Trump has rightly blamed bad trade deals, particularly those with Mexico and China, for contributing to this meltdown. But the Federal Reserve deserves a share of the blame, too, since its inflationary policies priced out U.S. manufacturers from global trade. Since 2000, their prices have risen nearly 50%, compared with about 25% for German competitors—mirroring the domestic inflation rates in each country. As a result, manufacturers fled the U.S., much the way American families have fled high-tax states. The solution is to take control of the money supply away from the Fed and give it back to the American people—in other words, to return to the gold standard. Gold gets a bad rap in some history books because of its misuse during the 20th century. This ignores its peacetime record of high growth and nil inflation between 1834 and 1913. Clouding the historical picture are two fake gold standards. The Depression-era gold standard was constructed to make prices fall toward the levels that prevailed before World War I, with the disastrous result of deflation. Then, under the Bretton Woods version after World War II, only foreign central banks could convert dollars into gold. This deformity caused inflation, which skyrocketed after the Fed gained total control of the money supply in the early 1970s. The current Federal Reserve system benefits elites. 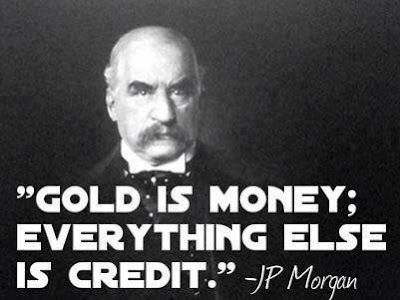 The gold standard is equitable and puts “we the people” in control of the money supply. That’s why it was part of America’s founding and has been a key to the country’s long economic success. Hopefully Former Rep. Ron Paul will take notice of Mooney's bill and interview him on the Liberty Report.